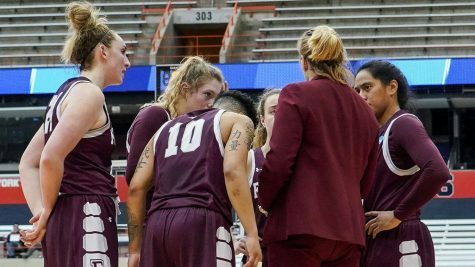 Fordham Women’s Basketball has had games where it looks out of sorts for one half but solid in the other. None has been more Jekyll and Hyde than the Rams 65-47 WNIT first round win over the Harvard Crimson. I’m a little ashamed to admit it, but I had the first half of this game story written during halftime. It was pessimistic, but deservedly so. 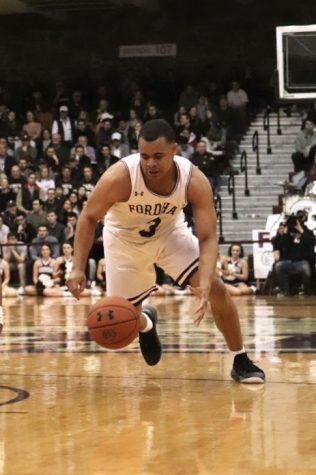 Not only was Fordham losing 33-24, but it looked even uglier than that. 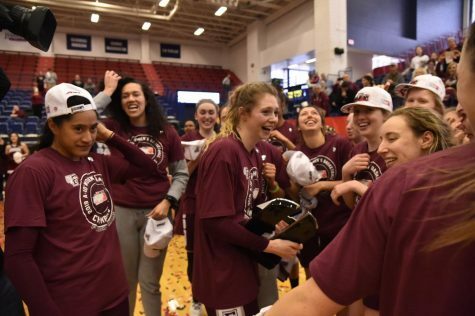 You could feel it in the Rose Hill Gym; the Rams seemed out of sorts, maybe as a product of the two week layoff between the Atlantic 10 Championships and Friday’s game, and the crowd seemed dour. The dour feeling started in the first quarter. After going back and forth – there were four lead changes in that quarter alone – Taylor Rooks for Harvard hit a second-chance three to put the Crimson up 15-13. Harvard hit two more baskets to go up 19-13 headed into the second quarter, where it was more of the same. While Harvard only outscored Fordham 14-11, making the halftime score a normally manageable 33-24, it did not feel that way. The Rams just looked completely out of sorts. 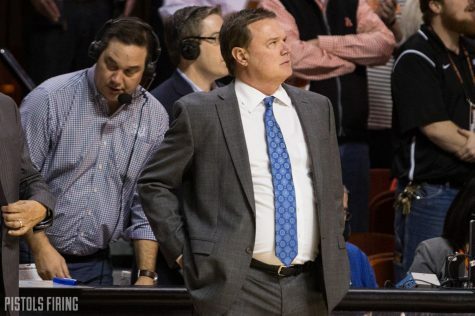 There were two shot clock violations and a number of close calls as well. The defense struggled to rotate, allowing Harvard to shoot over 58 percent from the floor, including 5-7 from three. To make matters even worse, senior forward and star player G’mrice Davis couldn’t have hit Keating if she was standing next to it, going just 3-9 from the field, including a number of ugly shots. However, this was not just a case of having an off night; she was being double-teamed left and right and simply couldn’t work her way through Harvard’s Jeannie Broehm. Another telling stat? Both Fordham and Harvard committed nine turnovers. Harvard scored 13 points off those turnovers. Fordham, just four. 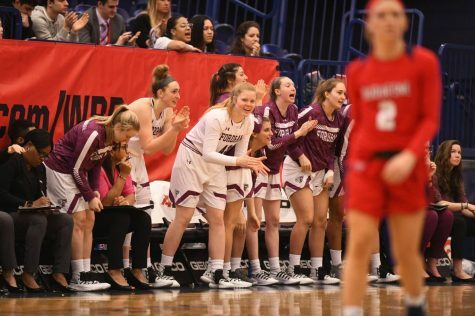 In the second half, the refrain was the same from head coach Stephanie Gaitley as it had been all season: if the defense is there, the offense will follow. The Rams certainly turned on the defense, and oh boy did the offense follow. 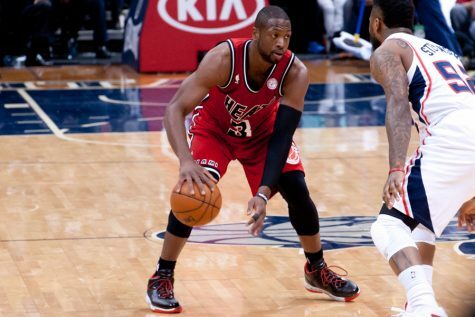 The third quarter started slow, with neither team scoring for over two minutes. But then freshman guard – and the Rams’ leading scorer all year – Bre Cavanaugh hit a three to pull the Rams within six. The defense then harried the Crimson into a turnover, and Cavanaugh got fouled in transition while making a layup. She hit the free throw to make it 33-29. Next possession, freshman forward Johanna Klug snagged a steal and Cavanaugh made another transition layup, making it eight unanswered points and pulling the Rams within one, 33-32; that was when I deleted my original game story. But it didn’t stop there. After trading threes, junior Mary Goudling completed a circus three-point play to give the Rams the lead, 37-36. It was their first lead since she had given them a 13-12 lead with 3:20 left in the first quarter. There was a little girl shrieking in excitement in the stands. She was all of us. Cavanaugh hit another three and another layup, giving her 13 of the Rams’ 20 third quarter points. Harvard, suffocated by the defense, scored just seven. Fordham took at 52-40 into the fourth quarter. Gaitley said the defensive formula was simple: switch everything. 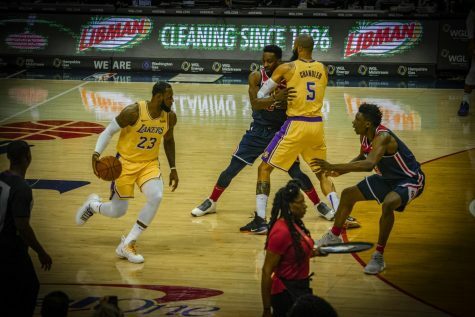 “Ball screen switch, switch down the screens, just more of an effort of just taking away the three and making them put the ball on the floor,” said Gaitley. As for Davis, she basically stopped shooting outside of two shots at the end of the quarter. Instead, she started distributing, finishing the game with a career-high (and game-high) five assists. Gaitley gave a lot of credit to freshman forward Zara Jillings, who has been somewhat of a defensive specialist for the Rams this season. 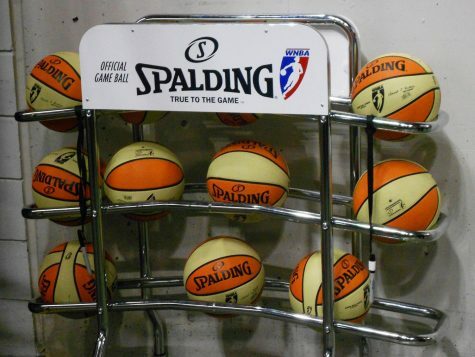 With her in the lineup, it was much easier for the Rams to switch and deny the three. After allowing Harvard to go 5-7 from three in the first half, the Rams held them to 4-14 in the second half. In a touching moment, the major lead allowed Gaitley to first sub out Davis, who was playing in what was probably the final home game of her career, and gave her a big hug. And then the rest of the bench got about 20 seconds in the game as well. With the win, Fordham advances to play Drexel in Philadelphia on Sunday at 4 p.m. in the next round of the WNIT. If it’s anything like this last game, I might have to buy a new delete key.